at fairs, events, offices and parties. bodhana is continuosly searching for innovative techniques and methods to provide the best and most effective service for our clients and for this world of wellness and consciousness, which is becoming more and more popular. for this reason we are pleased to present this original and innovative way to bring wellbeing to your clients, employees and friends. its an entertaining and unique service to give prominence to your event and your company. a way to ensure higher performance in attracting new customers or promoting the general wellbeing of your employees and friends. our more than 20 years long experience will guarantee a big success. we offer personalized service and will advise you at all times, giving you best ideas and options according to your purpose. the initiative is internationally proven and highly valued for its great success and acceptance. houses, boats, hotels, gardens…..whereever you can imagine. 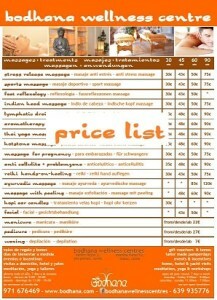 we provide the number of masseurs, massagetables, chairs and services necessary for your wellness incentives. the most common for large groups are our mini sessions of 15-20 minutes or ergonomic chair. massage stipulate a price / time and the customer can choose the time of treatment. massages can be given with or without oil, with or without clothes. antistress massages: classical massage or full body, reduces stress, relaxes, harmonizes body and mind deeply. increases overall wellness. sports massage: deep tissue massage, relieves stress and contractions and promotes physical recovery. indian head massage: an application of incredibly relaxing techniques on shoulder, neck, head and face. aromatherapy massage: with natural aromatic essences, chosen acording to the needs of the recipient. reflexology: massage of the reflex points of the body through the feet, helps optimize the balance, functioning of the body and revitalizes energy. this type of massage is a simple and easy way to receive a fast and effective treatment. the person, without the need to undress, sits on the chair which is specially designed for this purpose. 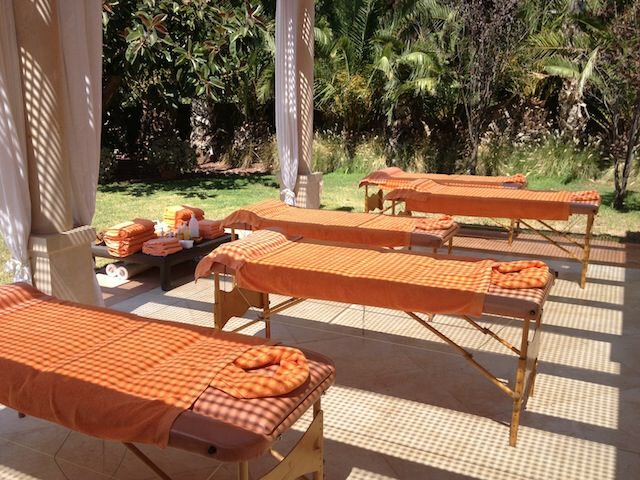 our professionals apply the massage in the back, neck, shoulders, arms and hands, relieving stress and contractions. customers are the cornerstone of your business. pleasantly surprise them by giving them a pamperday as a token of affection and gratitude. result is highly satisfactory and leaves a lasting impression. your team has been working hard to achieve a goal. on more than one occasion they had to stay up late at night to meet that goal. reward them with a massage session. offering a massage to all “birthdays” of that month. is a very original gift and great impact. offer chair massage service to those who do not smoke, and they do not take these 10 minutes every hour for the cigar. is an ideal service to offer as “break” during their conventions or workshops. after several hours of concentration, the mind and relax the body need to retake forces and be in top shape to continue participating. relieves stress and renews energy, increasing the yield and productivity of the event. please contact us for any questions or for a quote for your personalized wellness incentives. we are flexible, spontaneous, fast, do it right and with awareness. we believe in what we do and enjoy doing it.